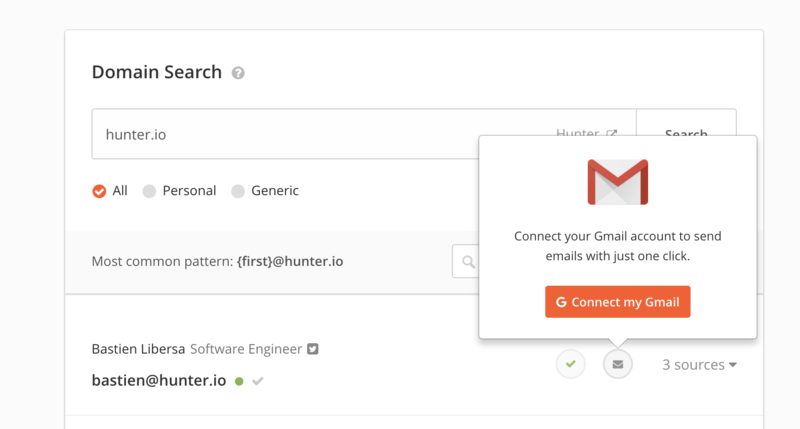 Hunter's Gmail integration allows sending emails to single leads and creating email campaigns for multiple contacts directly in Hunter. 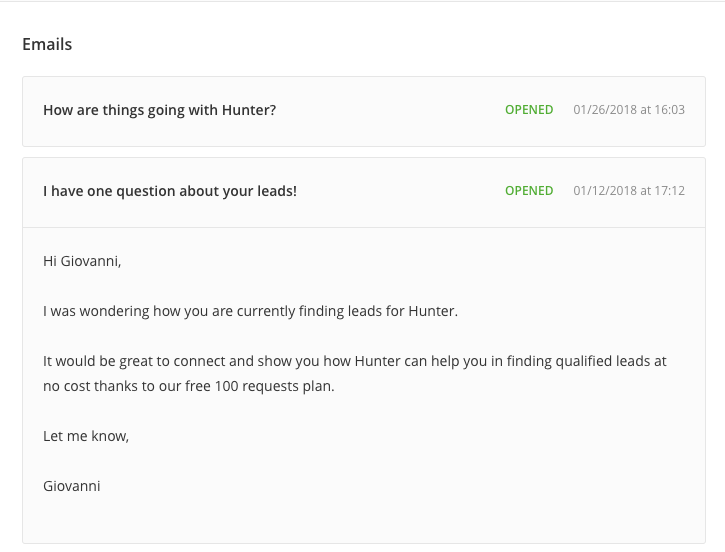 You can easily connect Hunter with your Gmail account and start sending emails to existing leads or new emails found. The mailing feature is available in the Domain Search, Email Finder and the Leads section. To send your first email, simply click the “letter” icon next to an email or a lead and link your Gmail account in a few clicks. You can now type the email you want to send or create a template to and re-use it with other contacts by clicking the “Create my first template” link. 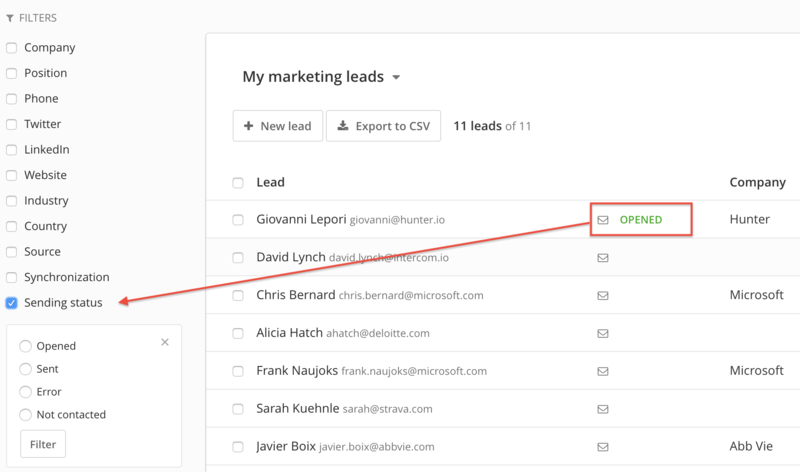 You can send an email to an entire list of leads by clicking the Send a campaign button located next to the list name. Please note that you can only send an email to a lead once only. If there are leads you want to contact again, send them an email manually or move them to another list. P.s. Have a look at the dedicate Campaign tutorial for a full guide! In the template you can set different parameters such as First Name, Last Name, Full Name, Email, Position, Company and Website. Attributes are automatically filled when sending the email based on the contact’s information saved in Hunter. In case some of your contacts are missing some attributes, make sure to add fallbacks. Templates can be easily selected when composing a new message. Your Gmail signature will be always appended at the end of the message. All the emails sent with Hunter are automatically tracked to provide real-time statistics. You can check the status of an email by opening the lead you sent the email to in the Leads and Outreach sections. Select the email you want to check and Hunter will provide the activity made in the email (open and reply)from the recipient. Every list of leads has also a live statistic on the number of emails sent and opening rate displayed next to the list name.